Topic: Time for a WT Pic? Re: Time for a WT Pic? Sactribe, good work at the pics and finds, good work! That's a nice bunch of finds. I've been out shedding a vew times, little to show for it, so far. Topic: Something to pass the time. Re: Something to pass the time. Seeing a muley like that would fire up an old hunter. Randy, good the hear from you. Strange Winter we're having in N MN isn't it. I have not had to shovel or plow snow yet. Congrats on your WY hunt, great area the Big Horns. Plans for Fall hunts yet? Looks like the A-5 works just fine. Jump shooting waterfowl is great sport. Nice pic and congrats on a VERY successful hunt. The young hunter will do well! Re: Timr for a WT Pic? ABert wrote: Great looking buck! I thought you guys got more snow up there than what I see on the ground? We had about 1 inch here during the season while 100 miles South they had over a foot. Time for a WT Pic? 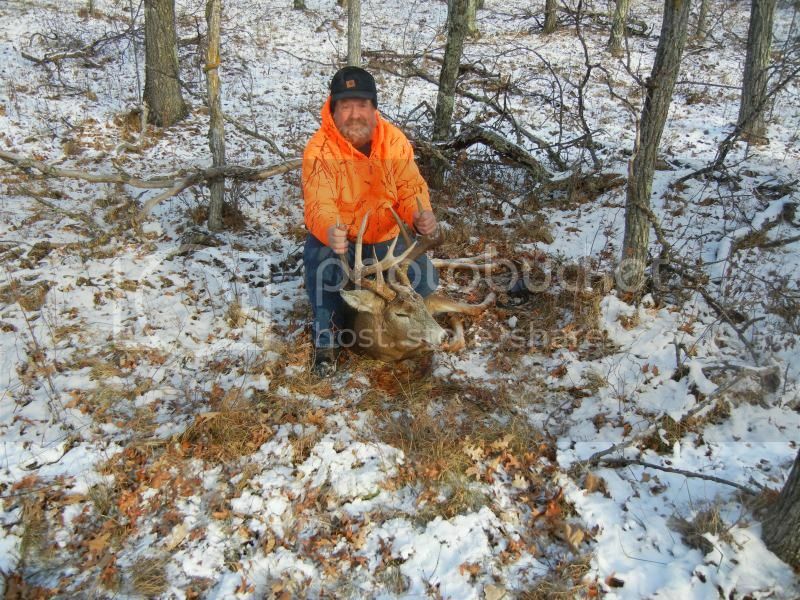 Mine from Nov 11th MN Rifle hunt.